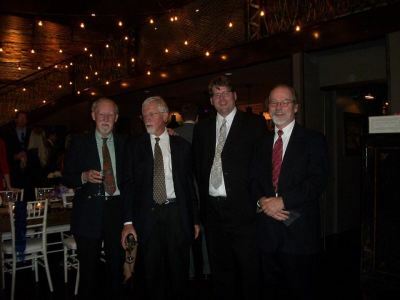 Jack Herrick, Me, Rebecca Newton and Peter Ostroushko. 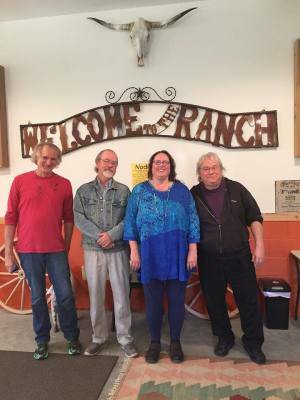 A recording session at "Drop D Ranch", 2015. With Joseph Terrell of Mipso. One of the young lions on the new acoustic scene. A nice young fella with all kinds of talent. 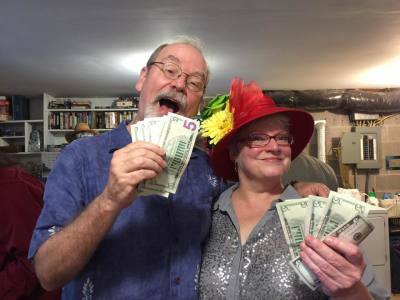 With Wes Collins at the 2014 "Fab Four at Fifty" show. 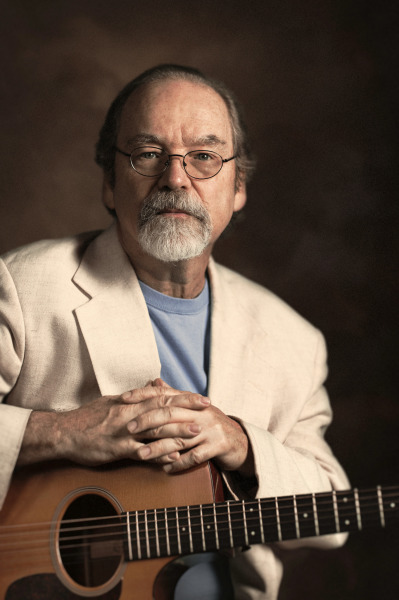 A great guy, fine guitarist, singer, and songwriter. 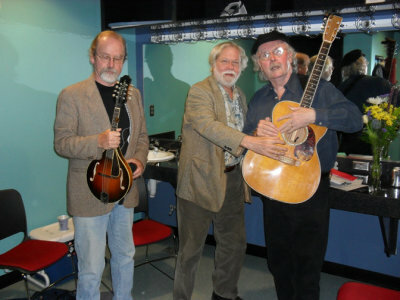 With Patrick Sky and Tom Paxton in Shelby, NC, circa 2010 (?). 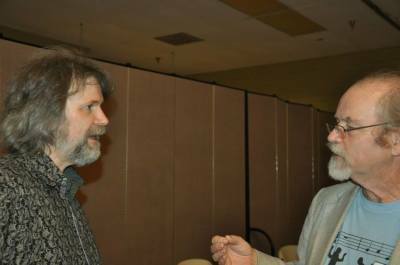 I loved listening to these two swap stories about the NYC Folk Scene in the early 60s. 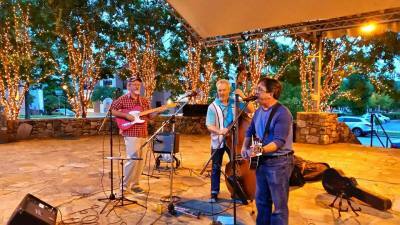 The Nashvilifiers (F.J. Ventre, Tom Collins-Meltzer, and myself) do real-deal country music. A chance to get my Telecaster boots on! Hank Soto is one of my North Country music buddies. Best known for playing in The Stoney Creek Band, he is a total guitar pro on his ancient (and heavily modified) Danelectro electric. He is also one of the nicest people I know, and he runs a bar (Tavern 13) with the best jukebox I have ever seen. 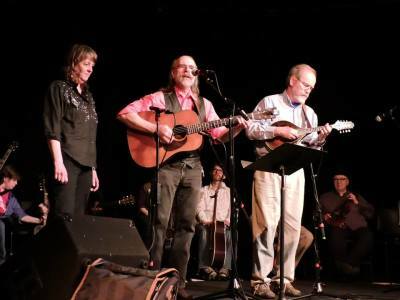 With Frank Orsini, Chris Leske, and Arlin Greene at Saratoga, playing bluegrass in the summer of 2015. Three real pros. 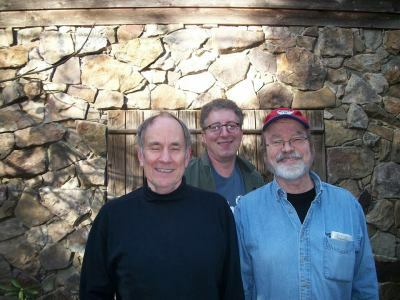 With Mike Craver and Jerry Brown, outside the Rubber Room Studios, during the recording of my "Guitarheel" album. Two of my favorite people and musicians. With Armand Lenchek at a house concert. A great guy who plays blues with the best of them. I love playing with Armand. Never a throwaway note----only good stuff! 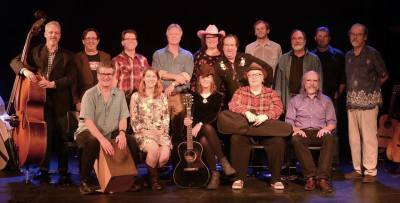 Cast of the 2015 Circle Show: First row, L to R: Jim Roberts, Billie Feather, LaNelle Davis, Jan Johansson, Jim Watson. 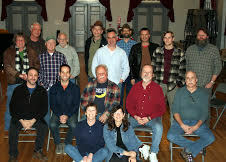 Second row, L to R: F.J. Ventre, Tom Collins-Meltzer, Bobb Head, Wyatt Easterling, Rebecca Newton, Stan Lewis, Hank Smith, Gene Knight, Scott McBride, me. The Chapel Hill UUkes is a group that I started at my church. It has blossomed into a full-fledged bi-weekly meetup group with a large number of members. 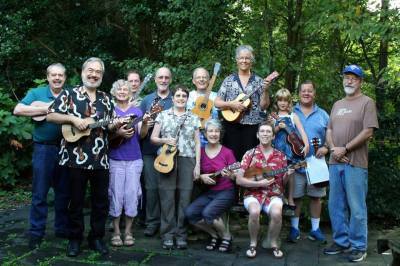 I love the uke, and there's no easier instrument for bringing people together to make music. This group is one of the biggest joys of my life. 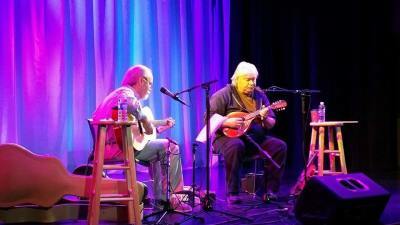 With Peter Ostroushko at the Cary Theatre in 2015. 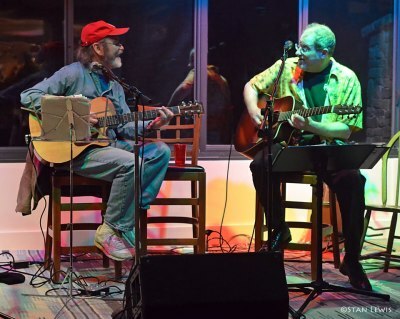 Performing at a great venue with my favorite musician. It can't get any better than this. Talking flatpick technique with the amazing Beppe Gambetta. An incredibly nice man who knows as much as about food as he does about the guitar....and that is saying something! 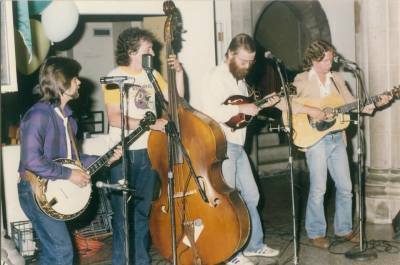 With Summit (Chris Leske, Steve Joseph, myself and Craig Vance), playing at a NYC wedding of two friends, early/mid 1980s. This is probably the earliest photo I have of me performing. 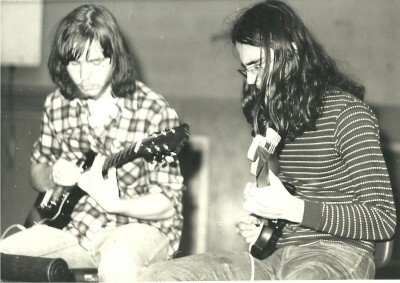 This is about 1971 or 1972, with the Penfield High School Jazz Ensemble. That is me on the left. The other guitarist is Rob Brauch. 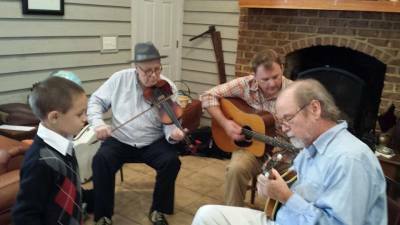 We crossed paths at our 40th reunion in 2012, and he is still playing! My favorite photo of me with Peter Ostroushko. 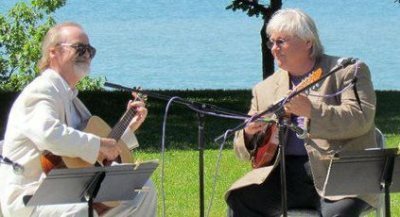 We were playing on the shore of Lake Ontario, near Rochester, for a wedding. Winfield, Kansas in 1980. 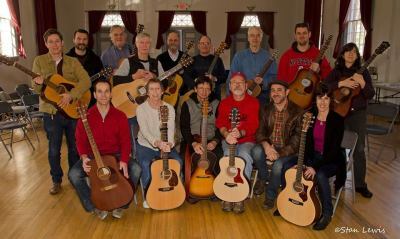 National Fingerpicking Guitar Championship. 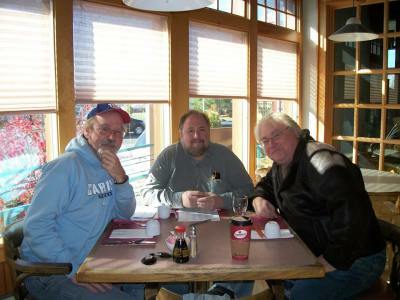 L to R: Dwight Linkhart--3rd, Rolly Brown--1st, Myself--2nd. 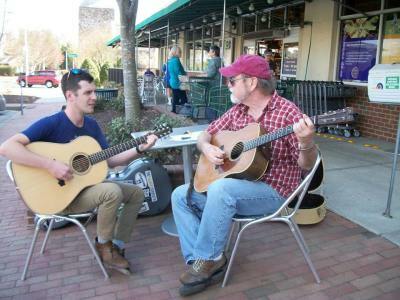 I won a Martin HD-28 that I still have, but the best part was gaining a lifelong friend in Rolly. Dwight (who was a fine Travis-stye player) sadly passed away a number of years back. 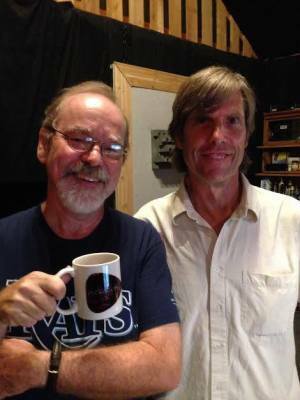 With local legends Ron Stutts of WCHL, and Jefferson Hart, who performed with me and many others at the "Fab Four at Fifty" show at the Cats Cradle in 2014. 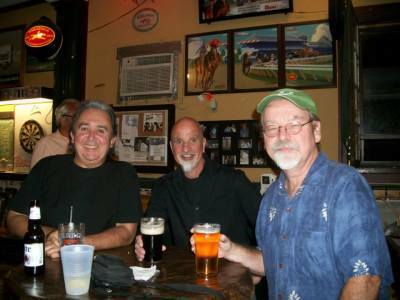 With Hank Soto and David Maswick. 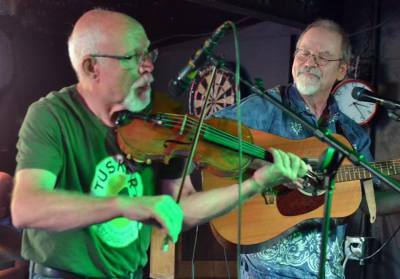 A gig at the Parting Glass in Saratoga in 2014. 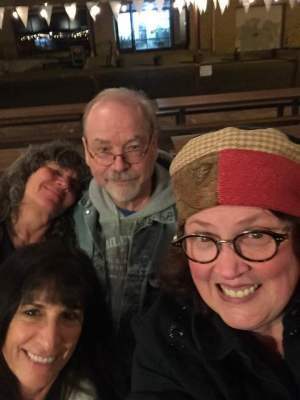 With Julie Elkins, Joe Newberry, and Bobb Head. Instructors concert at Picknbow, circa 2013/14. 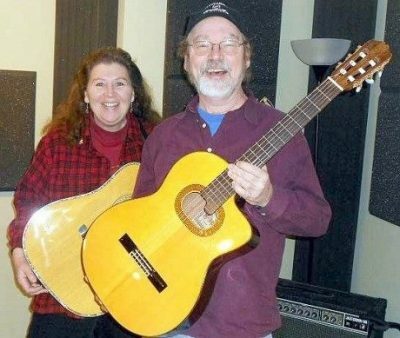 Will and Janet McFarlane, during sessions for my "repast" album. Music making gets no better than with these two. 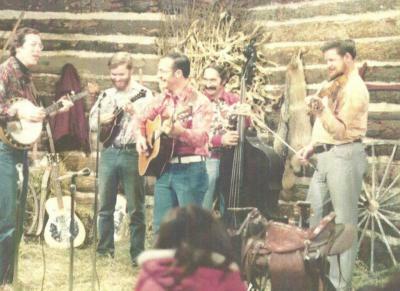 A Watertown, NY PBS program featuring "The Azure Mountain Boys", circa 1975/76? 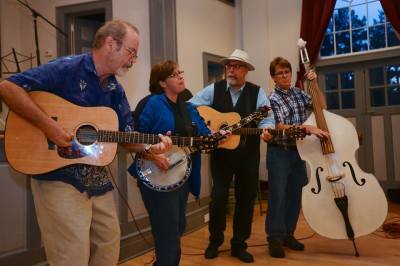 My first taste of bluegrass. 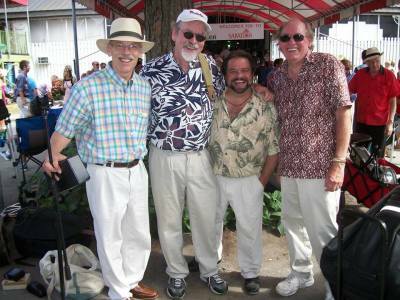 L to R: Everett Smith, myself, Dave Belile, Earl Belile, Karl Davies (sp?). Ostroushko and I (joined by the great bassist Tony Markellis) getting ready for some Dim Sum. 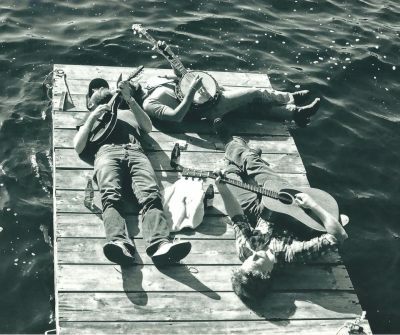 These guys know their food as well as they know their instruments. 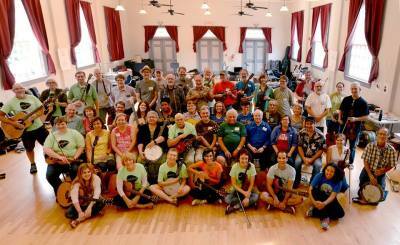 The first year of the "Great Guitar Camp" that I co-host with Jon Shain. We always invite a third instructor. For year one, it was Lightning Wells. Wayne Naylor, bassist extraordinaire, and my longest musical acquaintance. We have known each other since junior year in high school. This photo is from the early/mid 1990s. We both had a lot more hair then! 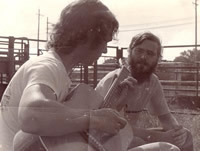 With Paul Meyers, circa 1975/76, Potsdam, NY. Paul is one of the finest guitarists on the planet. That is not hyperbole! 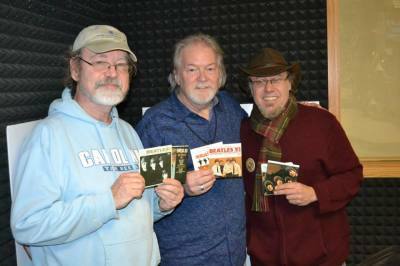 With two dear music buddies: Doug Pomeroy, and Chip Wilson. 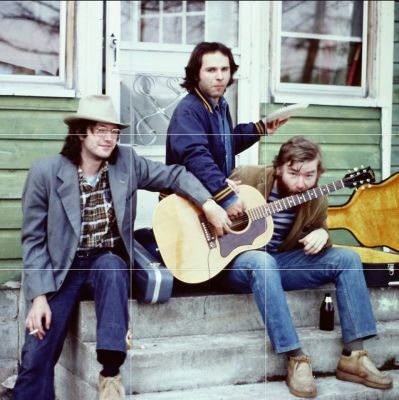 Burlington, Vermont, mid 1980s? 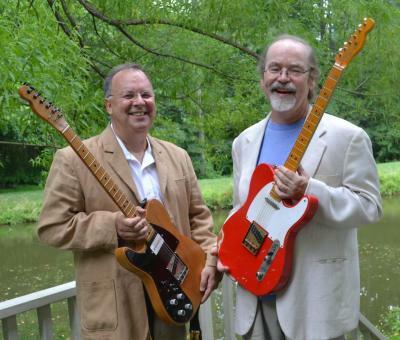 With Tim Obrien and Tony Galfano. A concert at my church circa early 1990s? 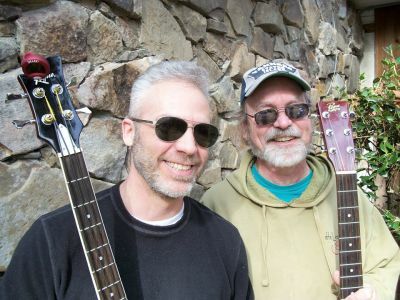 Tim and I are playing Nugget mandolins---he has mine, and I have his. Tony is playing a Randy Wood F5. 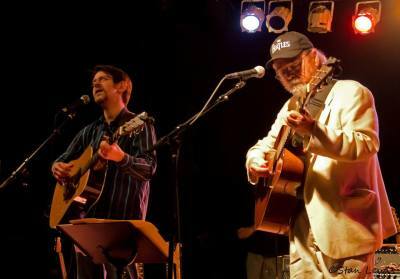 Playing with Tom Paxton, circa 2000. 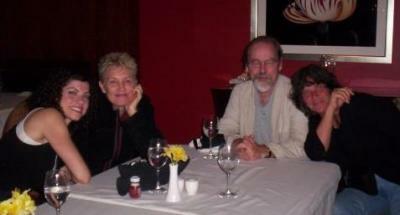 After a meal with Mr. and Mrs. Pat Martino, and Bernie Petteway. Circa early 1990s? With Ed Gerhard at the Stone Church, Newmarket. NH, early 1980s. An amazing player and composer. Summit, circa 1985 or so? 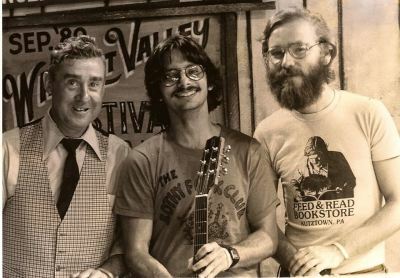 This was about a year or so after Chris Leske (on the left) won the National Bluegrass Banjo Championship. With Ari Eisinger, 2000. He plays Blind Blake better than Blind Blake! 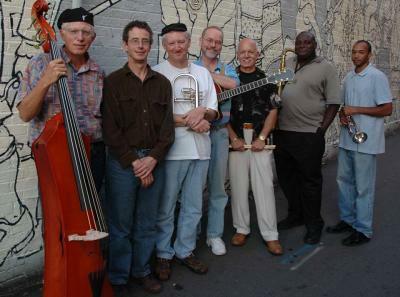 Jazzbeau is my little jazz band that I have played with regularly for many years in NC. This is the quartet version on top, and the jumbo version (circa 2000?) on the bottom. 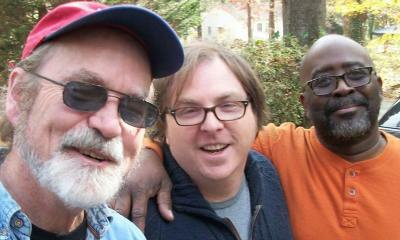 The basic band is a trio---Jeff Elliot on bass, Greg Cagle on trumpet and sax, and myself. Robbie Link. The bassist's bassist. Nuffsaid. 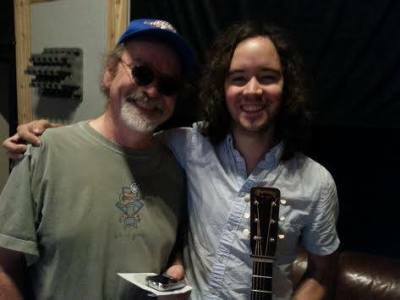 With Andrew Marlin of Mandolin Orange. A crazy talented young fella. The sky is the limit for him. Saratoga. 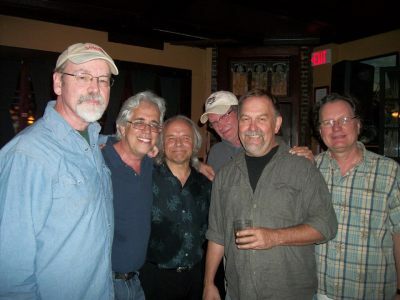 Ray Lambiase, John Kribs, Michael Hadfield, Kevin Maul, Michael Jerling. Musical "war buddies". Year two of the Great Guitar Camp. Rolly Brown was the third instructor. Robert Sledge and Ed Butler. With Jan Johansson, Scott McBride, and a young fan. Carrie Rodriguez, Eliza Gilkyson, and Nina Gerber. Winnipeg Folk Fest, 2008. Summit, playing on our backs. Mid 1980s, Lake Ozonia, NY. 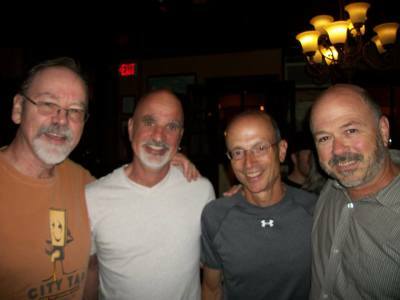 Saratoga with Dave Maswick, Rob Zolner, and Joel Brown. Mike Babyak. I play with his band Triple Fret quite often, and every now and then we field an ad hoc collection called "Gotham/Babyak". We also pair up for other musical adventures, like the annual "Circle" shows. Don Mercz. 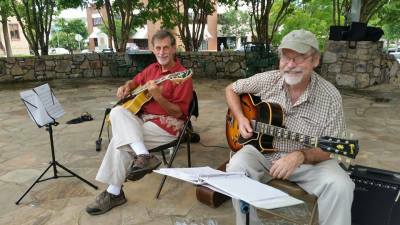 A longtime swing guitar buddy. 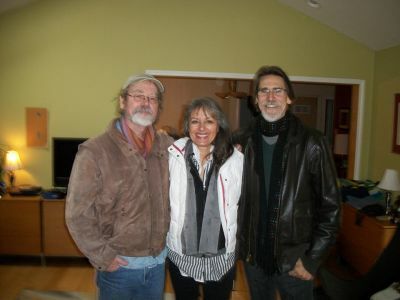 Don and I with Victoria Chall---one of my oldest and dearest friends, and a wonderful jazz vocalist. Clay Buckner and I . The Merle Haggard tribute at the Kraken, 2016. Watch out world! 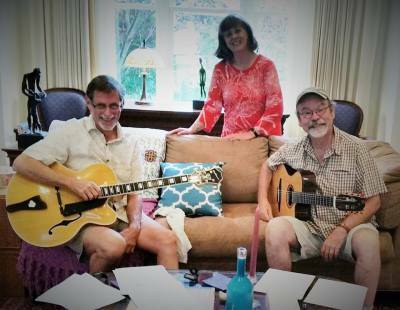 Leslie Land and I (with George Hindenach on percussion) are about to launch a trio soon. It will be too much musical fun for words! Stay tuned. A memorable night in Durham, 2016. Nina Gerber, Karla Bonoff, and Rebecca Newton.